Following a long career in Healthcare Management and Finance, which culminated in seven years as an NHS Chief Executive, Colin now pursues a Consultancy role, mainly in healthcare-related organisations. Non-professionally, he has enjoyed a parallel career as a singer and stage performer for most of his life, taking prominent roles in numerous stage musicals and operas in and around the Midlands. Colin’s musical pursuits led to an involvement with The Bardi Symphony Orchestra, where he was elected Chair in 2009. His Trustee & Chairmanship experiences include school Governor roles, in both state and independent sectors, and Arts & Theatre Trusts. Colin is a member of the Institute of Healthcare Management and the Chartered Institute of Internal Auditors. In addition to his Trustee role with the Orchestra, Colin can frequently be found ‘fronting’ Bardi Wind Orchestra performances, as concert compere, and even featuring among the Symphony Orchestra’s ranks as a virtuoso striker of the cannons in Tchaikovsky’s 1812 Overture. Following a degree in French with Music from Exeter University, and a PhD in Medieval French Literature from Cambridge, Tim’s professional career was spent in academic librarianship, specialising in rare books and manuscripts, and culminating in his appointment as University Librarian at the University of Leicester in 1995, and then as Chief Executive of MLA East Midlands, the regional Museums, Libraries and Archives Council. On taking early retirement, he was for seven years a Trustee, and Treasurer, of the Leicester International Music Festival. Tim has been a member of the Orchestra’s first violin section for 20 years, and became Vice-Chairman in 2015, for a time combining the role with that of Treasurer to which he had been elected in 2012. Born and educated in Leicester, Robert received his early musical training on the Clarinet at the Leicestershire School of Music and then with the National Youth Wind Orchestra from 1978-84. A career in Graphic Design beckoned however and following a degree from Leeds Polytechnic, Robert worked as Illustration manager at Eikon Ltd and for the last eleven years has been a Director of CalowCraddock Ltd with twin brother David in Leicester. 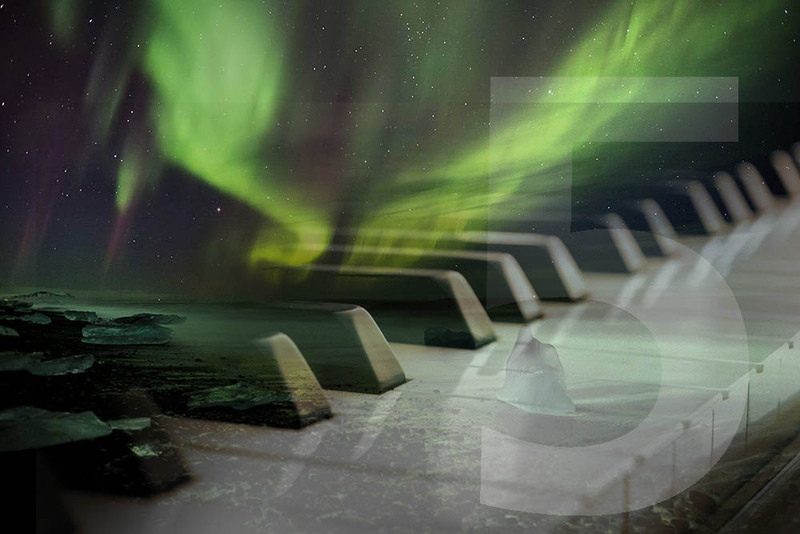 High profile clients include Cambridge and Oxford University Press, major design and advertising agencies nationwide and several musical organisations including the Royal Philharmonic Orchestra. Robert is also a full member of the Guild of Aviation Artists, recognised throughout the world as the premier society for the promotion of aviation art. Robert joined the Bardi Symphony Orchestra in 1988 and is in great demand also playing with the Rutland Sinfonia, Knighton Chamber Orchestra, Charnwood Orchestra, Leicester Symphony Orchestra and Heart of England Orchestra. 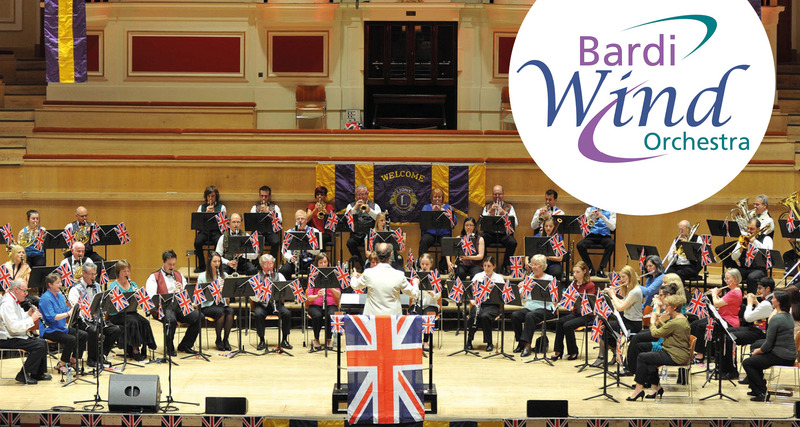 In 1992 Robert, together with his brother David, founded the Bardi Wind Orchestra and over the next 25 years the ensemble has raised thousands of pounds for charities at the popular De Montfort Hall summer concerts. December 2018 saw David, along with twin brother Robert, presented with the first national centennial Certificate of Appreciation Award from the Lions Club of Oadby and Wigston for their work in presenting fundraising concerts, which have raised thousands of pounds, with the Bardi Wind Orchestra since 2006. Robert has held the post of Orchestra Manager for over 20 years. With lifelong experience as an amateur musician both as an instrumentalist and as a singer, Mary was a member of London Philharmonic Choir for 18 years, serving for eight years on the Board of the choir, the last five years in the post of Chairman. She now sings with Leicestershire Chorale and in various ad hoc singing groups. A wind player since school days she recently defected to the string fraternity and now very happily plays viola with the Clarendon Park Orchestra. She has been a practical supporter of the Orchestra, in various capacities, since 1989 She was elected as a Trustee in 2014 and became Secretary 2018. A Fellow of the Chartered Institute of Personnel & Development (FCIPD) and with an MA in Human resources she pursued a successful career in HR, holding senior positions in various central government departments in London. Since 2007 she has been involved in a number of freelance arts consultancy projects, including work with the former National Association of Youth Orchestras and she is currently is Vice-Chairman of OYAP Trust a youth arts organisation in Oxfordshire. Claire was brought up in Poole, playing the viola in both the Wessex and Dorset Youth Orchestras, before going on to study Modern Languages (French and German) at Oxford University, where she was involved in a multitude of extra-curricular musical activities. Professionally, she is both a Chartered Accountant and Chartered Tax Adviser and works predominantly with large multi-national companies with operations in the Midlands, having held previous roles as an external auditor and a tax specialist in the Charity & Not for Profit Sector. She sits on the Finance Committee of Leicester Cathedral and volunteers as a Debt Counsellor with Trinity Money Advice, as well as helping out at a local Guide unit, playing with the Bardi Orchestra and dealing with its finances. In her little remaining spare time, she continues to learn languages for fun, most recently Swedish. Janet has played ‘cello with Bardi Orchestra for over 10 years, since moving to this area from the south-west. She has served as a Trustee for several years, most recently as music librarian. David was born and educated in Leicestershire, receiving his early musical training from the Leicestershire School of Music. He played flute and piccolo in The National Youth Wind Orchestra from 1978-84. David is now Creative Director of CalowCraddock design and Illustration studio in Leicester. David became Music Director and Conductor of the Bardi Wind Orchestra in 1996. The Wind Orchestra now has an enviable reputation performing at major fundraising Gala Concerts each year at De Montfort Hall in Leicester, the Christmas Festival concerts at Holy Trinity Church Regent Road and at the popular Bradgate Park Prom concerts. December 2018 saw David, along with twin brother Robert, presented with the first national centennial Certificate of Appreciation Award from the Lions Club of Oadby and Wigston for their work in presenting fundraising concerts, which have raised thousands of pounds, with the Bardi Wind Orchestra since 2006. In 1995 David was appointed Music Director of the I.D.O.L.S Operatic Group in Leicester for their Little Theatre production of South Pacific. Over the following ten years he directed shows including Seven Brides for Seven Brothers, Oklahoma!, The King and I, Guys & Dolls, Mack and Mabel, Anything Goes and Kiss Me Kate. He has also directed full productions of Jesus Christ Superstar and Godspell. In 2007 David was appointed Associate Conductor of the Rutland Sinfonia. He has continued with Music Director Paul Hilliam, to develop the adventurous concert programming for the Sinfonia. David conducted the East Midlands premiere of Prof. Newbould’s realisation of Schubert’s seventh symphony, and a rare performance of an authentic 19th century version of Mendelssohn’s E minor Violin Concerto in an arrangement for flute. In recent years he has introduced a succession of highly successful concerts featuring music from stage and screen to large and enthusiastic audiences in Oakham. In January 2015 David was appointed Music Director and Conductor of the Clarendon Park Orchestra and is enjoying working with and encouraging an enthusiastic group of local musicians. David also creates all of the publicity and programmes for the Bardi Symphony and Wind Orchestras concert season. Christine studied the clarinet in London at the Guildhall School of Music and Drama under the notable clarinettists Jack Brymer and Joy Farrell, and enjoyed playing freelance for a number of years. Now a self-employed clarinet/saxophone teacher in Leicestershire, Christine has focussed her musical career on inspiring young musicians; for over 20 years alongside her teaching, she has worked regularly with a range of ensembles in the county as both a sectional coach and conductor. Passionate about giving talented young players opportunities, she has also adjudicated on various competition panels, and recently coached one of her pupils to become the Bardi Symphony Orchestra’s own ‘Young Musician of the Year’ (2014). In her spare time, Christine plays regularly with The Bardi Symphony Orchestra, the Helix, Knighton Chamber Orchestra and the Beaufort Wind Quintet, and has had the opportunity to perform as a soloist with works such as the Mozart, Copland and Finzi Clarinet Concertos.